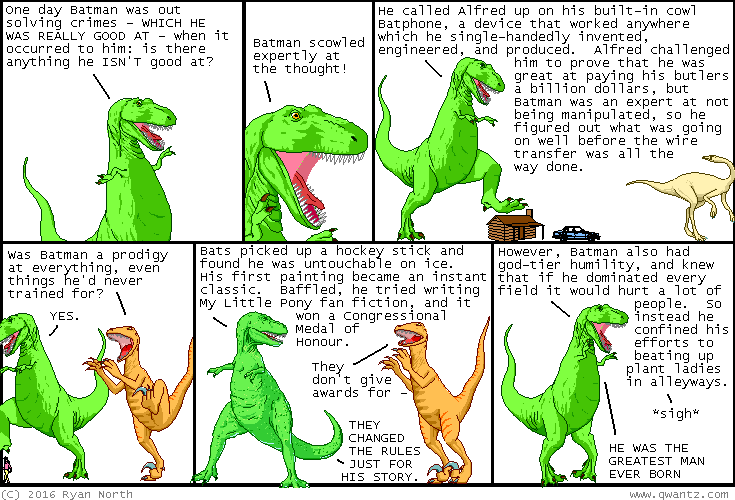 Dinosaur Comics - January 18th, 2016 - awesome fun times! January 18th, 2016: I spend a lot of time thinking about Batman!! I have this many regrets: NONE.